The Westin Sanya Haitang Bay Resort held a mass recruitment open day with over 300 positions up for grabs. 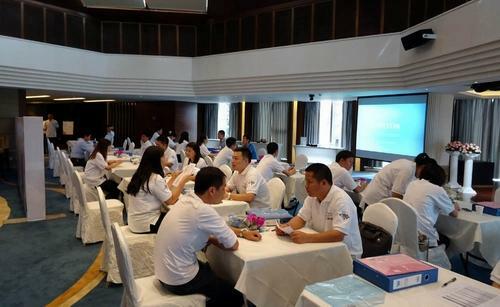 More than 1,000 applicants came to look for work at the hotel, including some who were keen on the hotel brand and took flights from Xiamen and Shenzhen to talk to the manager about the positions. The hotel, which is to open on 1st July 2013, is offering a variety of roles at all levels, including a number of management positions. In addition, a large-scale Asia-Pacific recruitment day organized by Starwood Hainan region will be held in the coming days for candidates interested in joining the Starwood team.